I know you’re struggling now and it scares me. You tell me your life means nothing if you can’t find some grand way to give back and you wonder what do you have to give in the first place. You say if one more person tells you how beautiful you are, you’ll scream. I wonder, Darling, if you know I lay awake at night and wonder what I would say at your funeral. I have finally decided I will not wait until I’m standing at your grave to say the things I need to say. So screw it, scream if you have to. Maybe it will do you some good. For 28 years now, you’ve made me laugh until I can’t breathe. You’ve made me so mad I swear and hurl insults until I run out of words. Some days you hurl them right back until it gets so outrageous I can’t even remember why I was mad. You’ve let me cry until there was nothing left inside and then held the empty shell that was left. You taught me how real love acts. In the midst of your own pain, you stood by me when I faced my darkest times. From your corner of addiction hell, you were my sounding board, my sanity and the lone voice of reason when I went through a string of bad relationships and finally wanted to marry a man you knew was dead wrong for me. You asked me not to but you let me make my mistakes without passing judgement. When it turned into a nightmare of abuse, instead of saying, ‘I told you so’, you convinced me I deserved more from life, even while you were pouring your morning vodka at 7:00 on a Sunday morning. When you went to rehab, you wrote me often and called when you could, offering a lifeline of support from so far away. You taught me to question my church when I saw it used inflated, self-important morality to exclude you or attempt ‘fix’ you. You forced me to ponder why God allowed so much pain and suffering in this world. I learned to pray before I spoke about such things. You showed me that sometimes the most beautiful things are said with silence. You invited me to AA meetings and for the first time in my life, I was in a place where acceptance reigned supreme. It made every church service I’d ever been to seem snooty and cold. You taught me not to be cheap with ‘I love you’s and to hug with all my might because I might not get another chance. You taught me I didn’t need a man at my side to be a complete person. You made me a better woman, a better mother, a better Christian. I’m sorry. I wasn’t there for you when you needed me most. I put a bad marriage ahead of our friendship. I ask your forgiveness. Now you live so far away, it breaks my heart that I can’t sit by you and hold your hand. I told you so many times that you were my hero when you went to rehab and worked your way through the 12 Steps but I never told you why. You weren’t my hero because you stopped drinking or got it together. You ARE my hero, even now, because you can admit you aren’t perfect. Nobody is but few of us ever have the cojones to say so. So you don’t think your life means anything? Well damn it Honey, it means something to me. Nothing you do can ever change that fact. You don’t want to hear that you’re beautiful, kind, compassionate, creative, intelligent and talented? You don’t want to hear that you made my life better just by being you? Fine. I won’t tell you that. I’ll tell you want you want to hear: You’re a drunk and you screw up. And I’ll tell you something else: I love you anyway. And if you drink yourself into an early grave, I’ll still love you. And then just to piss you off, I’ll tell the whole wide world just how amazing you are. PS. If I love you this much and God loves you so much more, don’t you think maybe you could find something in yourself that might possibly be just a little bit lovable? Once upon a time, I was inspired to start writing a story, an allegory really. It took a few twists and turns that I hadn’t expected. I’ve written a lot of stuff over the years and this proved to be the hardest thing I’d ever written. I kept trying to force the story in a different direction but it refused to cooperate. Trying to mold this story was like trying to sculpt water. Sounds crazy doesn’t it? It was exasperating but Deacon Ron, my spiritual director, suspected there was more to this so he pushed me to follow it to the end and find out where it led. The result was the short story My Ride. On the surface, it was a fictional face-to-face encounter with the evil voice in my character’s head that I dubbed the Gremlin and some guy who may or may not be Jesus. Underneath it all, it was face-to-face encounter with the evil Gremlin in my own pretty little head and some guy that I know is Jesus. Well that was a long time ago. Things change. 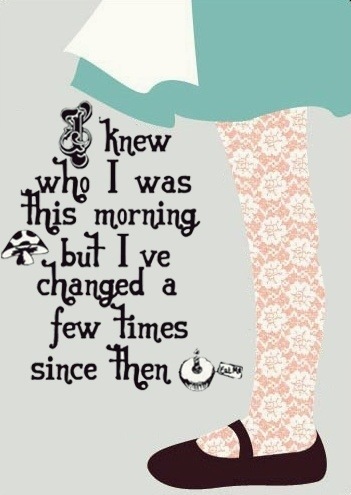 I’ve changed. I haven’t looked at that story in a long time, say three years ago when I published it. So out of nowhere, it came up in conversation last month. Deacon Ron loves to read as much as I do and he started telling me he’d read Paulo Cohelo’s The Pilgrimage. The main character has to name and talk to his own personal devil as well as his personal angel. That had reminded him of my crazy little tale. That left me intrigued enough to download The Pilgrimage and to reread My Ride. At first, I was a little smug, thinking how far I’d come since 2009. The Gremlin isn’t so much of a dominant force anymore. I know who Jesus is and we’re cool. Right? Umm…well…maybe. Cue Gremlin snickering. Okay fine. So I have a few issues with Jesus at the moment. What else is new? I put myself into that face-to-face with the Biker Jesus I’m most comfortable with and I unloaded on him. I ranted and I raved about needing a few words of reassurance in the midst of all the craziness. But no. I get the old widow scraping the bottom of her flour jar. “With all the passages of being shield, protector, defender, cups running over, don’t be afraid, I’m always with you, blah blah blah, WHY THAT ONE? !” Yes, I actually blah, blah, blahed Jesus. Now what? I don’t know. I’m all out of fight and this conversation is obviously far from over. Meanwhile, the flour jar hasn’t run out.